We have gathered questions which we have frequently been asked by our customers. If there is anything you want to know more, please feel free to contact us! We ship worldwide. If you couldn’t see your country in the dropdown menu of available countries, don’t give up, and would you please contact us? Do you recommend or look for a pot that suits my tree? We very much welcome such a request from you. Please let us know the image, shape, color, dimensions of the pot you want. If you don’t mind, please tell us the purpose (eg. for an exhibition), we will gladly recommend 3 pots from our stock or potter’s warehouse in Tokoname. It would be helpful if you sent us the photo of your tree as well. Do you have large bonsai pots? We can offer large bonsai pots, unglazed pots are also available. Probably you didn’t see any photos of these pots in our online store. Sorry, we don’t have enough time to add the photos in the store. Please feel free to contact us. 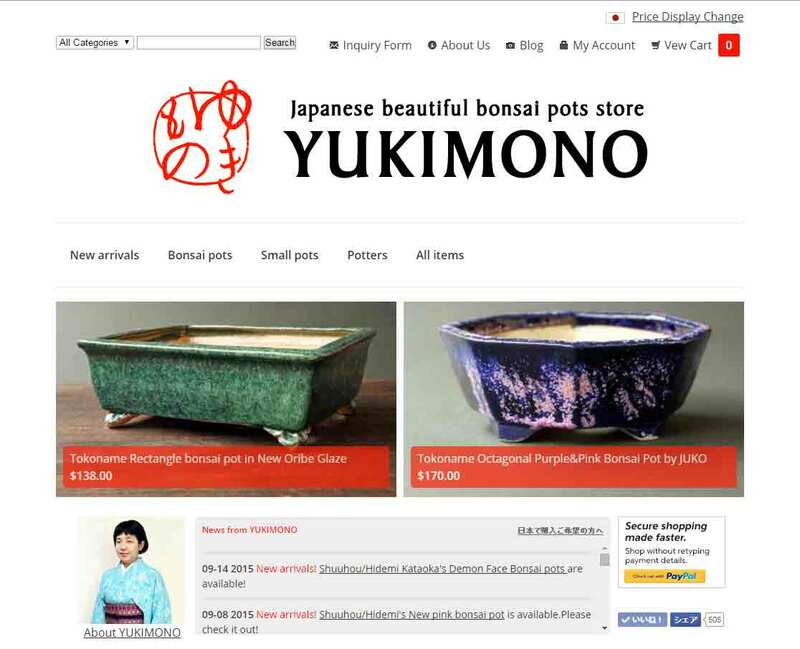 Do you have mailing list to allow us to stay informed when you have new pots available? We are sorry, but we don’t have a mailing list at present. We will post photos of new arrivals on our facebook page or on Instagram. Please check them out as follows. Can you sell your products wholesale to us? If you are a business entity, we can sell you our pots wholesale. Please contact us, and we will be happy to discuss our terms and conditions. Can I order a custom made pot? We now accept orders for custom made pots. Shuuhou pots are available to order right now by following the steps below. We will send you a quote(estimate sheet), and will also tell you the production period for the pot. Usually it will take 1~2 months. Confirm the total amount and the production period, and we will then send you a bill. We will inform you on the progress of your made-to-order bonsai pot. We will periodically send you photos, and ship it to you when completed. Every single pot we offer is handmade by the Tokoname potters. As you know, no one can exactly replicate handmade pottery. Furthermore, beautiful ceramic work is often created by chance, so please understand that we can’t promise to make the pot exactly as you expect. If there is anything you want to know, please contact us here!